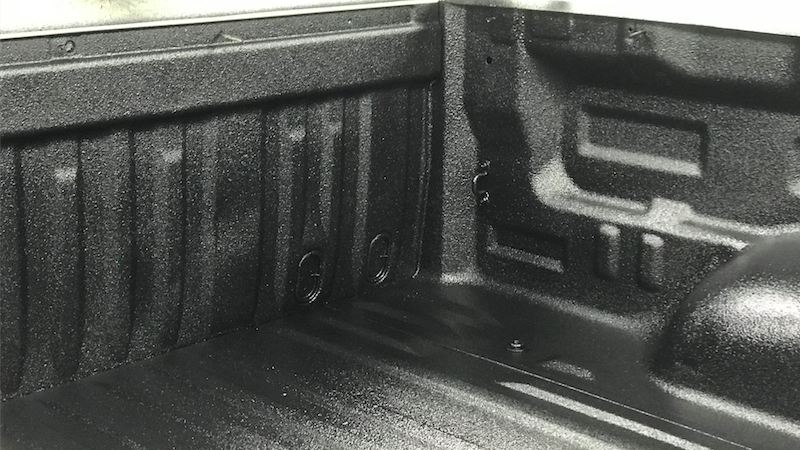 A customized quality spray in bed liner provides your truck with the highest quality protection available. Because your liner is expertly sprayed, the entire truck bed is totally sealed against moisture, foreign debris and other material, which may breakdown the integrity of the paint coverage of your vehicle. The hard surface of your liner also protects your truck bed against scratches, dents, dings and scuffs and gives the truck a tough semi-skid free surface that can endure the stress of large loads. No matter how large your loads are, your sprayed in bed liner will add life and beauty to your truck. We are your local truck bed liner application shop offering a customized look for your needs, such as color options, or adding liner application to moldings, lower body sides, or anywhere you want extreme protection for that off-road look.